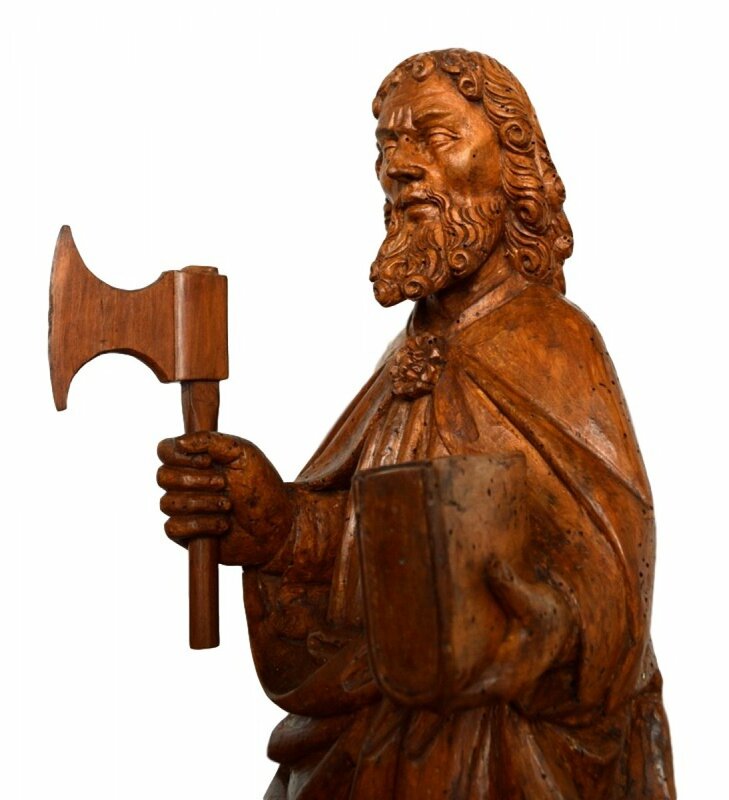 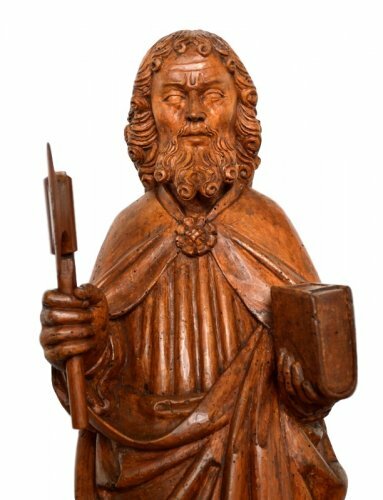 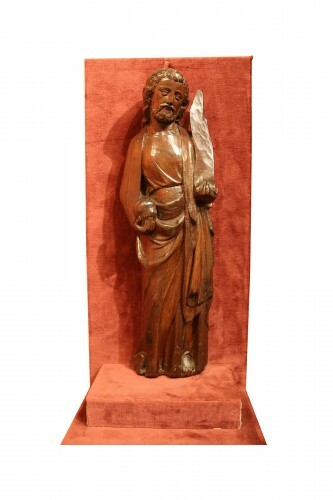 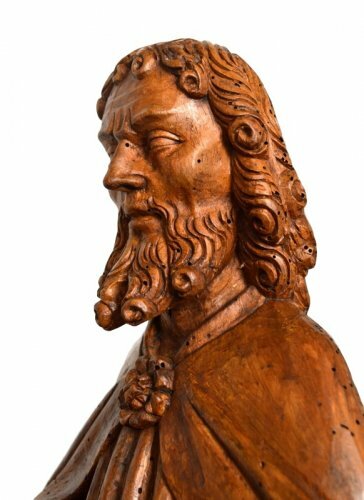 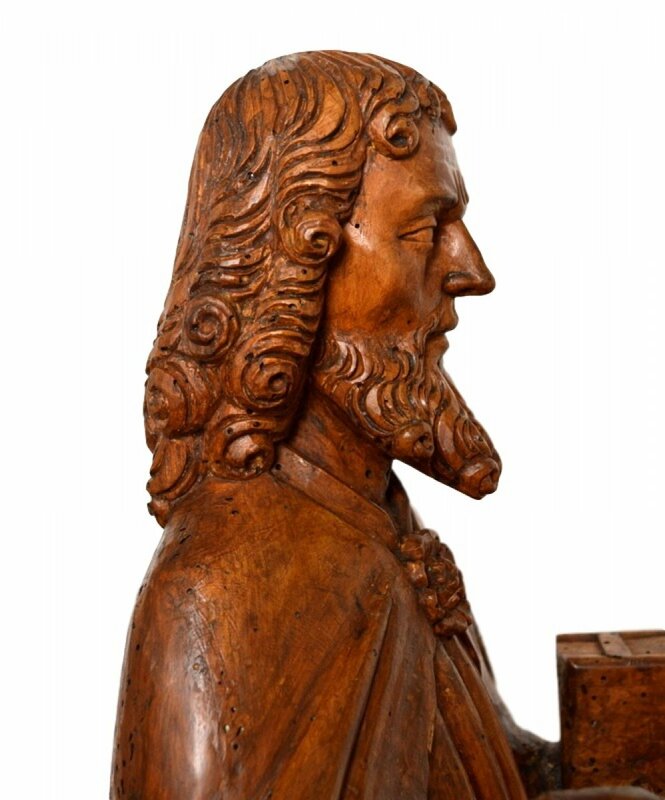 AnticStore > Catalogue > Sculpture > Wood Sculpture > Middle age > 16th century > St-Matthew in carved limewood.Germany 15th century. 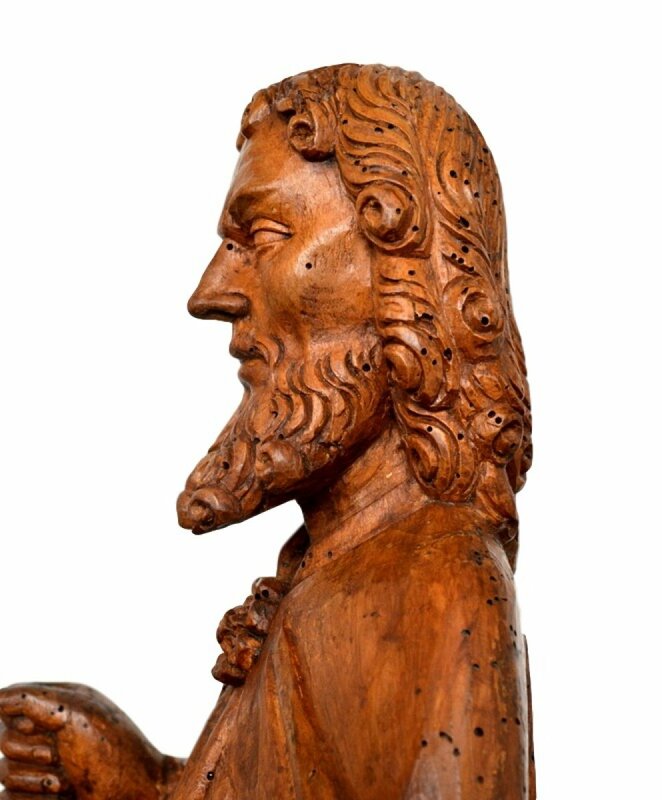 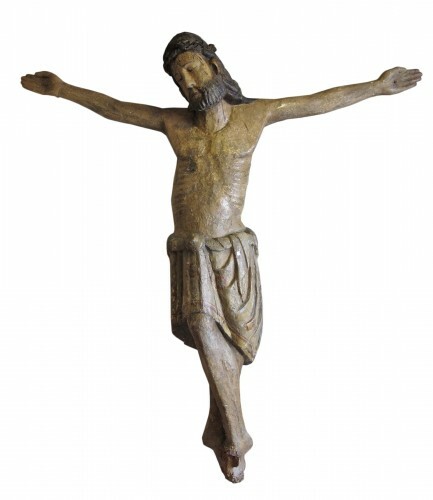 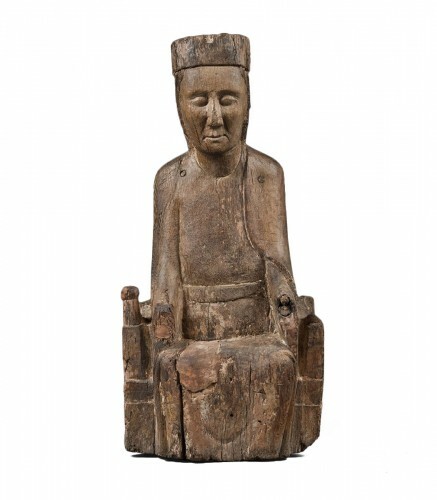 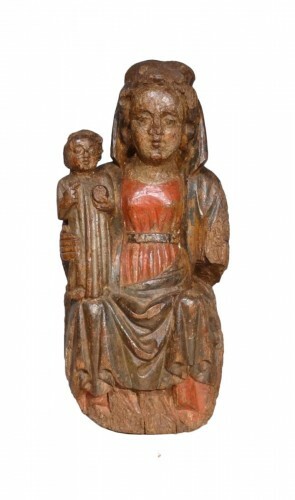 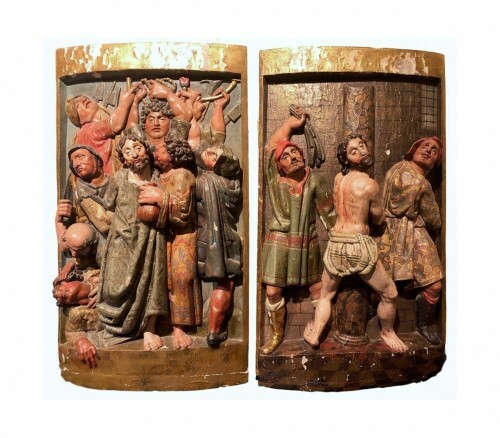 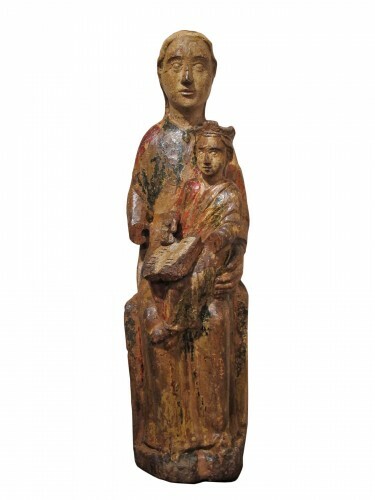 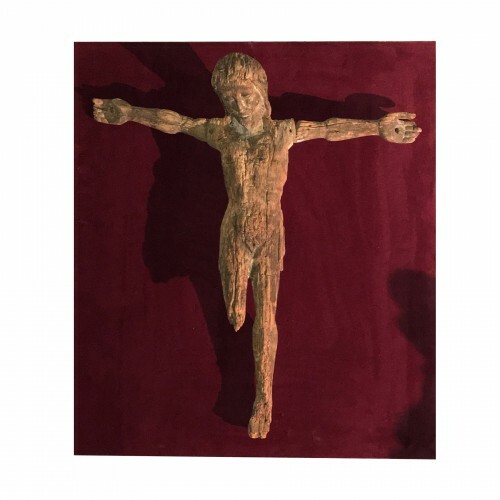 Beautiful sculpture in limewood from the late 15th century. 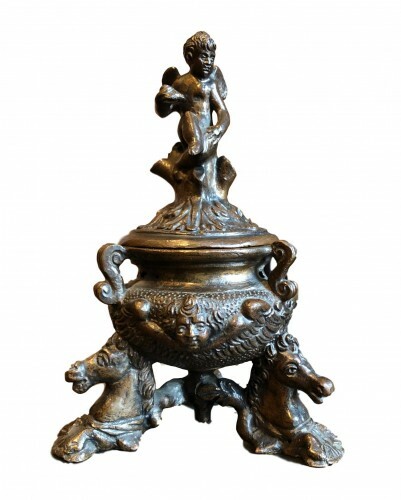 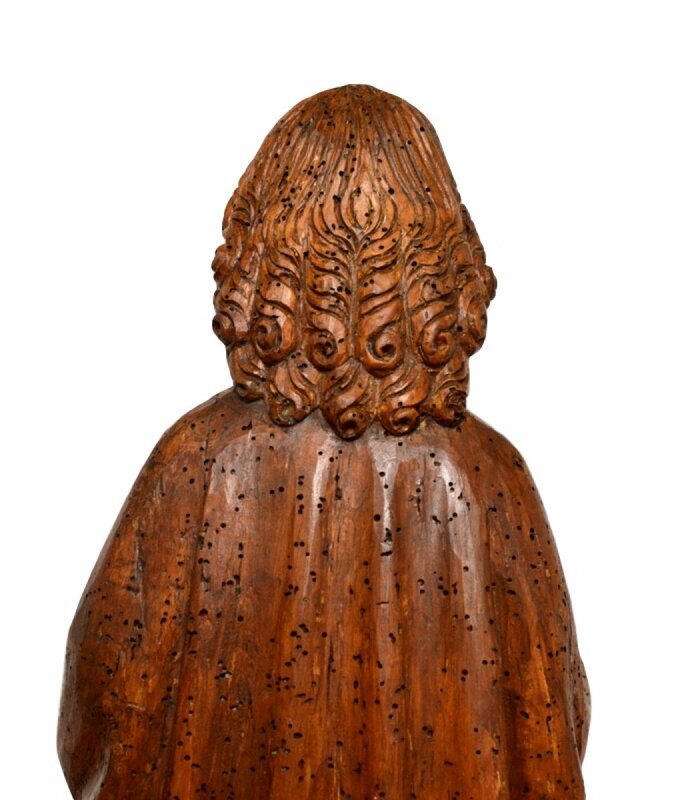 Deeply carved on a later base.